I tried…I really did! But I just got fed up with my braids and decided to take them off. I had them for almost a month, was aiming for a month and a half but fell short by about 2 weeks. It’s not that my hair was itching or anything, in fact my hair was just fine. However, I missed the nap, so now it’s back! 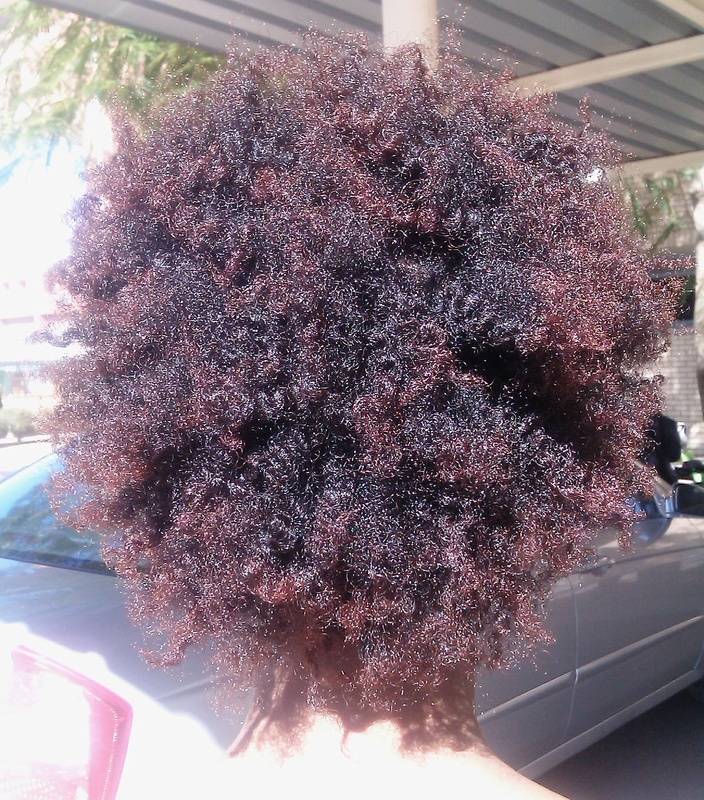 Due to my braid care routine while in braids my hair was in great condition when I un-braided it. 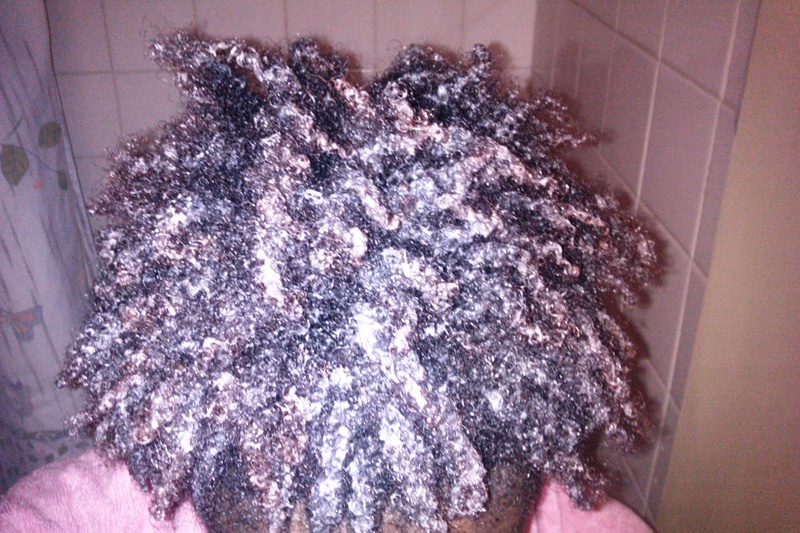 The JO’M sprays (Orange oil spray and Olive oil dreadlock spray) had kept my hair VERY soft. My home made aloe juice+water spritz kept my scalp from itching and my biweekly clarifying rinses kept product build up at a low. Since my braids were medium sized there was not much pulling on my hair follicles and any braids that committed suicide (fell out) did so without my hair! If only I had followed this braid care routine in my younger years. My hairline though still worries me, as always. I diligently kept up with my JO’M cinnamon&jojoba oil moisturizer and castor oil application daily and I don’t think it got any worse. It may have actually improved so I’ll still continue with that routine. Un twisting my braids was super easy, it took me less than an hour. I was too lazy to de-tangle so I just shampooed it immediately with my favourite Tresemme Naturals aloe shampoo then followed it up with a deep condition using a little aloe juice and VO5 Deep nourishing elixir with cashmere keratin, review of that product coming up next. I towel dried my hair after shampooing then made it damp using the aloe juice and followed that with a generous covering of the VO5 conditioner. Threw a shower cap on and forgot about it for a couple of hours. I thought I was gonna de-tangle just before rinsing the conditioner but again I was too lazy so I just rinsed and went straight to my moisturize+de-tangle+seal routine. Turns out I didnt really need to de-tangle twice anyway because majority of my knots fell out during the rinsing. Awesome. I moisturized with a mixture I made off the top of my head. ORS Carrot oil cream, aloe juice and JO’M orange oil spray. 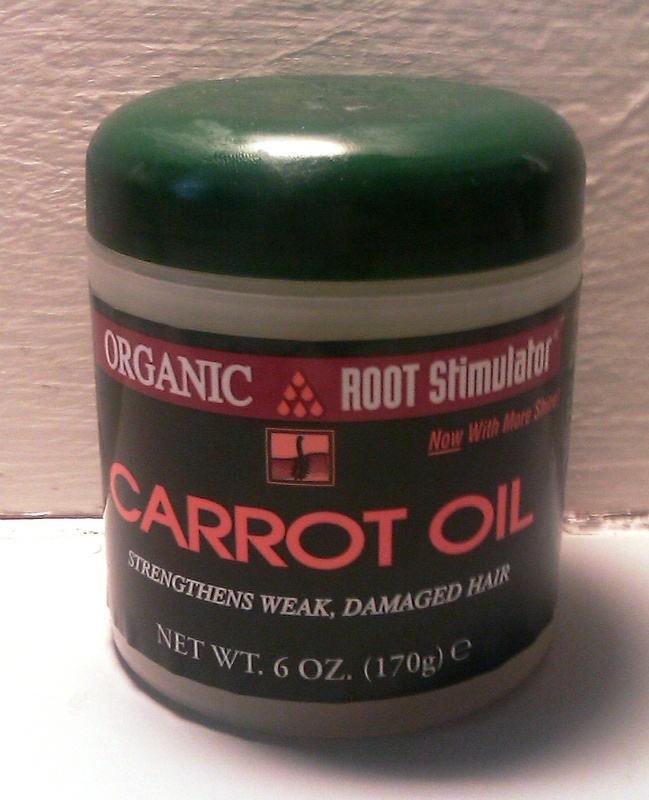 I have had the Carrot oil cream for a while so I figured I may as well attempt to finish it. Usually I would use my Kimmaytube leave in but I was missing an ingredient: Tresemme Naturals silicone free conditioner. 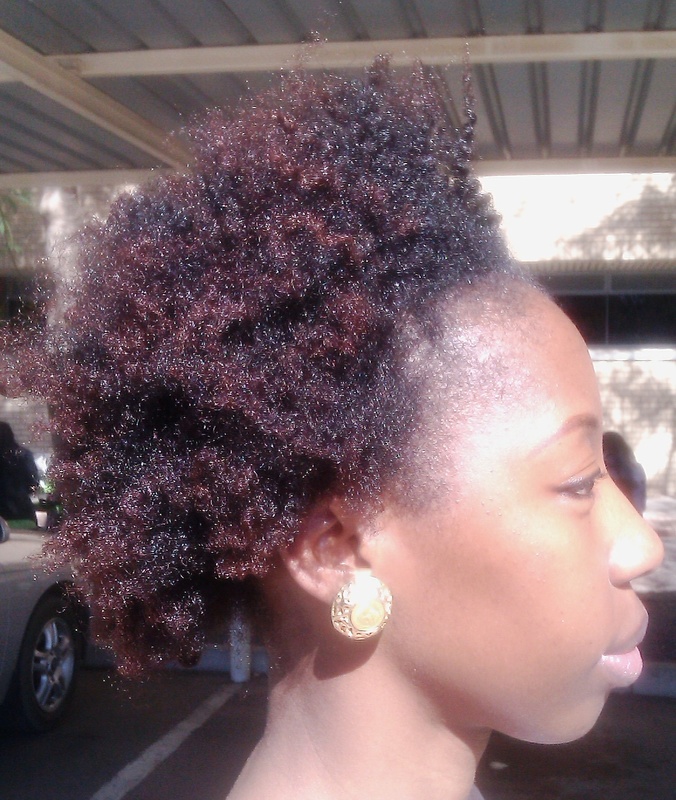 I sealed with a mix of shea butter, coconut oil and castor oil. I have been guilty of product overuse in the past so I tried to keep the oil mix use to a minimum. This also helps with preventing crunchiness which would happen when the oil hardens after the hair gets exposed to the cold air. Excuse the blur on my face, the sun was quite bright! As much as I’m happy the fro is back, I’m not ready to have my hair out again all the time so I’m thinking of doing some kind of cornrow, pin up or flat twist style during the week and only letting it out for washing and such on weekends. I also have a box of henna lying around so I’ve decided to give it a henna treatment some time this coming week. I was thinking of dyeing it with a Schwarzkopf dye first but I haven’t made up my mind yet…. Winter is almost over though so I’m quite excited about that! 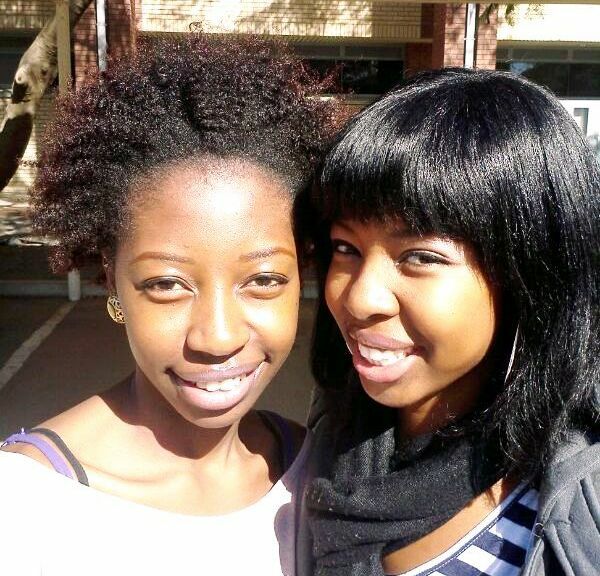 How have you had you hair these past few months?